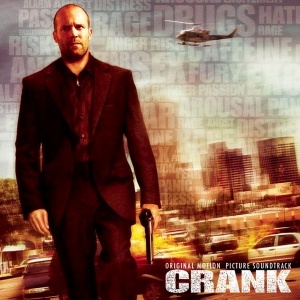 Mark Neveldine and Brian Taylor's 2006 film "Crank"
"Nasal Spray" is the third track on the soundtrack album Crank. It's a spoken word track featuring dialogue from the 2006 film. Chester Bennington did a cameo in the 2006 film Crank as a nasal spray-inhaling hospital patient. His scene is about a minute long, and he says a couple lines to Chev (Jason Statham's character). The soundtrack album contains various dialogs taken from the film between the songs. Among them is "Nasal Spray" which was taken from Chester's scene. Jason Statham and Chester Bennington dialogue. "Nasal spray. It's got epinephrine in it. It'll get you tweaked, man." This page was last edited on 13 December 2017, at 09:14.